Hello OwnedCore and welcome to the 70th OwnedCore Report. A new milestone I never thought we would hit but here we are. Unlike the last two weeks we will not haven an Elders of OwnedCore segment this week. I contacted 4 people but none got back to me therefore I will be contacting a new batch so we can hopefully continue it next week. Outside of that we have community highlights, clips of the week, and a breakdown of everything coming in what seems to be the patch that will make or break BFA, 8.2. Make sure to follow us on Facebook and Twitter for updates to OC, sharing our hottest threads, and great memes. for Path of Exile, Maplestory 2, World of Warcraft, Runescape, ESO, SWTOR, STO, Neverwinter, Blade & Soul, FF14 and many other MMORPGs. This week MMOGOLD4USA is offering a special sale on Path of Exile. Just use the code OWNEDCOREPOE15 at checkout to get yourself 15% off on all Path of Exile purchases. 8.2, the patch that people hope saves BFA, has had its official information dump via a Blizzard livestream recently. So what exactly is coming? Here’s a breakdown. 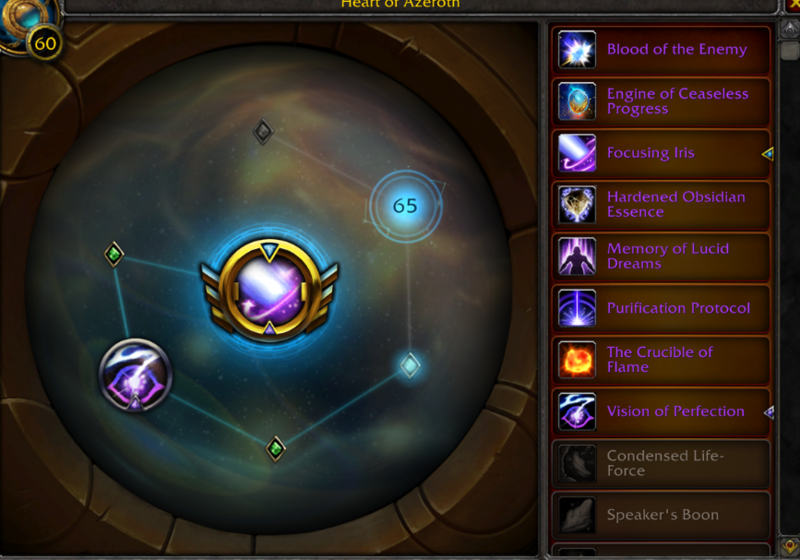 There is a new progression system for the Heart of Azeroth that looks scary similar to the old glyph system and also the Legion artifact. You slot the icons from the right either into a big node or one of the smaller nodes. When slotting an essence into a big node it gives you its “Major Power” which is usually an active and if you slot it into a smaller node you gain its Minor Power which is a passive that seems to be more of a flat damage increase or defense increase type addition. An example of what an essence looks like can be seen here . In total you get 1 Major Power, 2 Minor Powers, and the filler nodes which are the green diamonds and they tend to be also flat damage increases for the most part. You gather Essences from every type of content you can think of. PvP, Raids), dungeons, and more. The Essences also come with multiple rarities of the same Essence. Uncommon, Rare, Epic, and Legendary versions are all available. So if it comes from a raid the legendary version of that essence most likely comes from Mythic. The Blue and Purple versions of Essences greatly increase their power and the legendary version seems to be a visual only upgrade of the Essence so you stand out more when using it. Assistants with friendship bars which is like the MoP Tillers. Some of these friends, like the Gilbin for the Horde (a goblin with fins), have extra perks. Using the Gilbin as an example, you'll be able to see new hidden treasures using the Gilbin as a friend, and some of these treasures contain items which start quests that further the Gilbin's personal storyline. The Alliance will befriend a Deep Sea Tribe (possibly Jinyu-themed) while the Horde befriends former Naga slaves--crabs, Glibin, sea giants. New rewards including mounts, pets, and transmog. 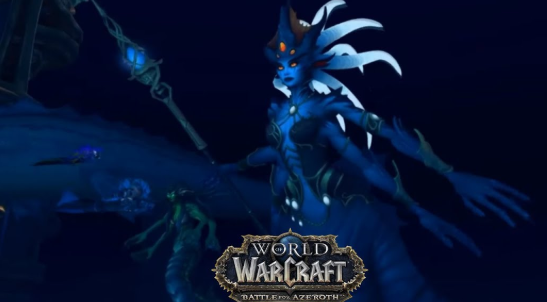 New Raid with 8 bosses including Queen Azshara herself. The beloved Island Expeditions, which are the PvP/PvE hybrid with a ton of potential, are getting some love. 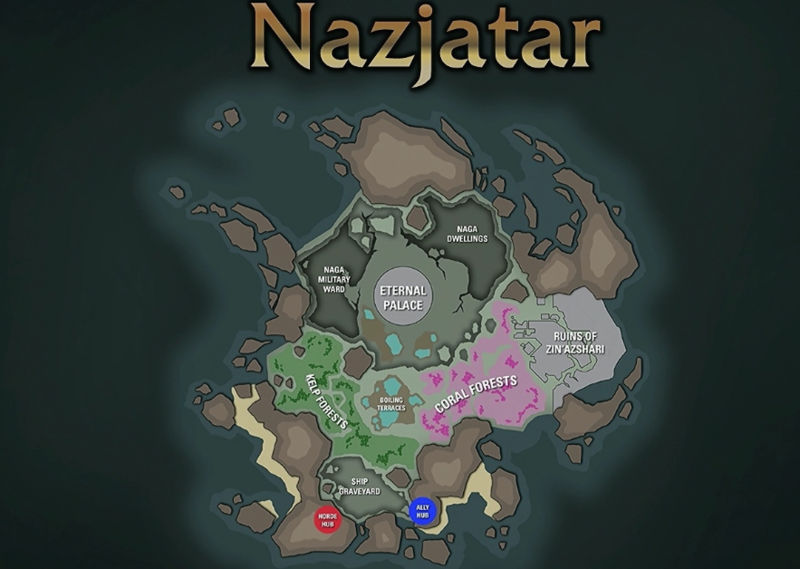 Two new Island Expeditions, Crestfall and Snowblossom, are being added. Crestfall is the site of a great battle from WC3 and Snowblossom is a Pandaren Island including Vermin from the Valley of Four Winds. 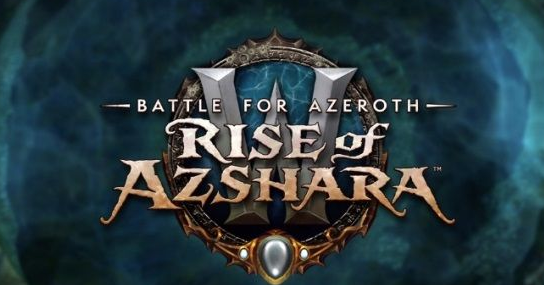 Oh and Ashran is coming back…. Gnomes and Taurens are getting their Heritage armor and if that totem is transmoggable then count me in. Also mount equipment is finally being added. This has been a fan request by many for so long and it is finally being implemented into the game but at a cost. The Azure Water Strider will no longer be able to walk on water. So how does it work? You get 1 equipment slot and 3 were showed off during the 8.2 preview. So what if you grinded the Azure Water Strider for water walking and now it doesn’t have it? Well apparently you get a discount on the water shoe equipment permanently if you had the mount prior to 8.2 release. Rub mustard on my what?